Cedefop Policy Learning Forums (PLFs) are an opportunity for countries to generate knowledge and they act as a site of consensus-building around shared problems. One of the main outcomes of Cedefop 2017 PLF on apprenticeships is the shared need, across and within countries, for a clear vision of apprenticeship with implications for the way it is defined and placed in national education and training systems. Today, there are many different interpretations of apprenticeships, even in the same national context. Reflecting on apprenticeship’s purpose and function may be a starting point to build a shared understanding of the term and a clear vision for the policies. Apprenticeship as a type of VET delivery is aimed at providing a diverse way to achieving formal VET qualifications by bringing people into the labour market (mixed education and training and employment functions). The vast majority of the schemes analysed in Cedefop study come close to the features of function group B, including almost all schemes in place in the countries involved in Cedefop TCRs and flash TCRs on apprenticeships (TCR countries). 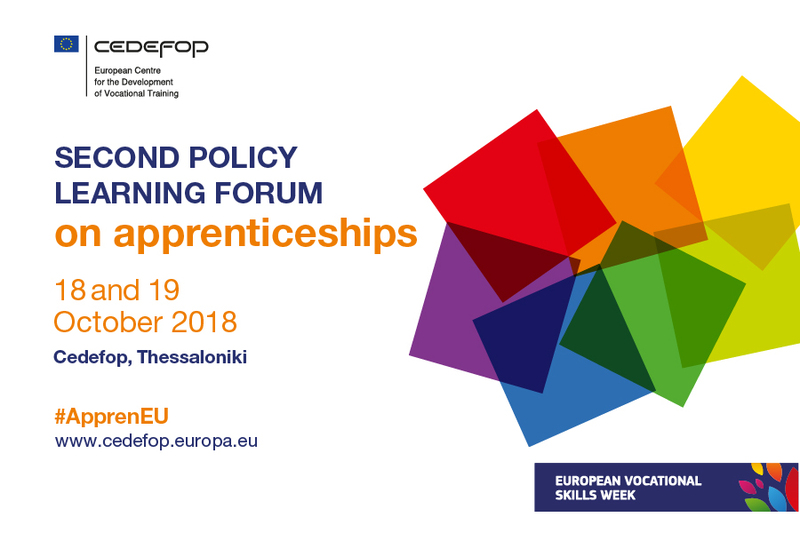 Cedefop 2018 PLF on apprenticeships starts from here: participants are called to reflect on and learn more about how apprenticeships differ in terms of purpose, function and organisation. While the 2018 PLF, like the 2017 event, principally addresses the TCR countries, it also involves experts and policy makers from non-TCR countries that have in place schemes close to the B as well as the A group or that are in transition from one group to the other. They will be invited to support the policy learning exercise. learn about the outcomes of the third round of TCRs and of the flash TCRs. learn about changes and developments in EU countries, particularly the TCR and flash TCR countries. This PLF will take place in Cedefop (Thessaloniki, Greece), on the 18th and 19th October. The event is linked to the European vocational skills week 2018 of which Cedefop is a partner.